With the company’s vision of bringing world-class Internet to Filipino families, PLDT has launched its first ever PLDT Home Prepaid WiFi, an affordable service that makes it easier than ever for more families to enjoy their online activities in the comfort of their home. Aside from being affordable, PLDT Home Prepaid WiFi also lets you enjoy PLDT Home’s pinakasulit Internet with the Home Boost 15, which comes with 1GB valid for 1 day for only Php15. You can enjoy Home Boost 15 as an add-on to promos like Home Boost 50 or up, for greater savings. With the PLDT Prepaid Home Wifi, families can learn together and research for school; bond by streaming videos and music; stay active on their favorite apps; or catch up with loved ones and friends on Facebook, Instagram or Twitter – all in the comfort of their homes. And because it is prepaid, there’s no need to worry about monthly bill payments, lock-in period, or uncontrolled data usage because customers simply have to load it up and register to promos that suit their family’s needs. The PLDT Home Prepaid WiFi is powered Smart’s LTE network, the Philippines’s fastest mobile Internet, according to the latest Speedtest® report of Ookla, the global leader in Internet testing and analysis. In its analysis of over 2 million user-generated tests on LTE devices in the Philippines from Q1 to Q2 of 2018, Ookla said Smart provided the country’s fastest LTE connection with average download speeds of 17.25 Mbps, and average upload speeds of 7.65 Mbps. On the other hand, UK-based mobile analytics firm OpenSignal also recognized Smart for having the country’s fastest LTE network, bestowing the company four citations in its March 2018 report: best in 4G LTE download speed; best in overall download speed; best 4G latency performance; and best 3G latency performance. High-speed Smart LTE now covers major urban areas including Metro Manila, Rizal, Cebu, and Davao, and top sites in Bacolod, Baguio, Baler, Batanes, Bohol, Cagayan de Oro, Iloilo, Laguna, Leyte, Palawan, Sagada, Sarangani, and Zamboanga, among others. The PLDT Home Prepaid WiFi is now available at all PLDT Stores and retailers nationwide and comes with FREE 10GB, valid for 7 days, for a one-time payment of only Php1,995. FINTQ’s online lending platform Lendr also makes it easier for customers to get hold of the PLDT Home Prepaid WiFi via affordable installment payments. With Lendr, customers can buy the device for an initial low cash-out of Php495, followed by six weekly payments of Php370, which can be paid through any Smart Padala center, Bayad Center, ECPay, and 7-Eleven outlets. 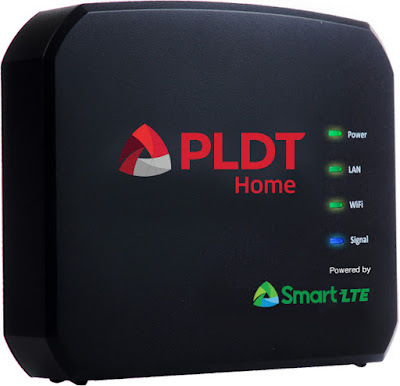 They simply need to visit pldthomewifi.lendr.com.ph to create an account, complete the application form and apply for a loan to purchase the device. FINTQ is the financial technology arm of Voyager Innovations--the digital innovations arm of PLDT and Smart. What are you waiting for? Get your own PLDT Home Prepaid WiFi now! To know more, visit www.pldthome.com and follow PLDT’s official accounts on Facebook (www.facebook.com/PLDTHome) and Twitter (@PLDTHome).